Home » World News » Andrea Leadsom quits Conservative leadership race. Will Theresa May now become Britian's new Prime Minister? Andrea Leadsom quits Conservative leadership race. Will Theresa May now become Britian's new Prime Minister? Brexit campaigner and Conservative leadership candidate Andrea Leadsom has pulled out of the race to be the PM of the UK. Leadsom's withdrawal, on 11 July, now leaves the path clear for Theresa May to become Britain's next Prime Minister. 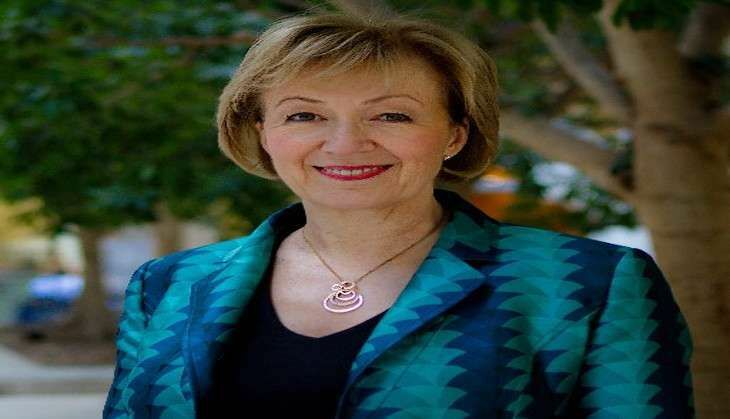 "The referendum result demonstrated a clear desire for change - strong leadership is needed urgently to begin the work of withdrawing from the European Union... A nine-week leadership campaign at such a critical moment for our country is highly undesirable," Leadsom told reporters on 11 July. Media reports quoted Leadsom as saying that she did not have sufficient support to form a stable government. "Concluded the interests of our country are best served by the immediate appointment of a strong and well-supported prime minister," she told the Independent. "I wish Theresa May the greatest success," she added. Leadsom's announcement comes days after she was heavily criticised for slamming her opponent May over motherhood. "Being a mother gives me edge on May," she had said. The decision on whether May will be automatically crowned prime minister will be down to the Conservative backbench 1922 Committee, the Guardian reported. Former British Prime Minister David Cameron announced his imminent resignation on 24 July - days after Britain voted in favour of withdrawing its membership from the European Union.